� How was your last visit to Siena Ristorante Bar? 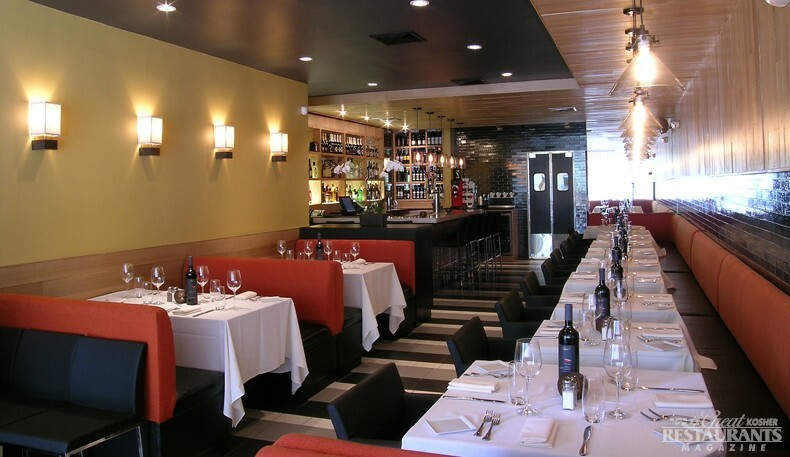 Siena Ristorante and Bar hit Brooklyn’s kosher restaurant scene in 2011 with something totally unexpected: a fully stocked wine bar complemented by a designer menu featuring fine Italian and Mediterranean cuisine. This cutting edge new restaurant is named after the city in Tuscany, Italy whose Chianti Hills harbor a rich artistic culture, as well as a history of financially savvy and well connected Jews. Indeed, this mentality is reflected in the décor, style and inspired edibles at Siena Ristorante and Bar. The journey to Siena begins with beautifully upholstered orange booths and cushioned black chairs. They invite you to take a seat by the luxuriously set tables, complete with wine glasses and bottles of fine wine. 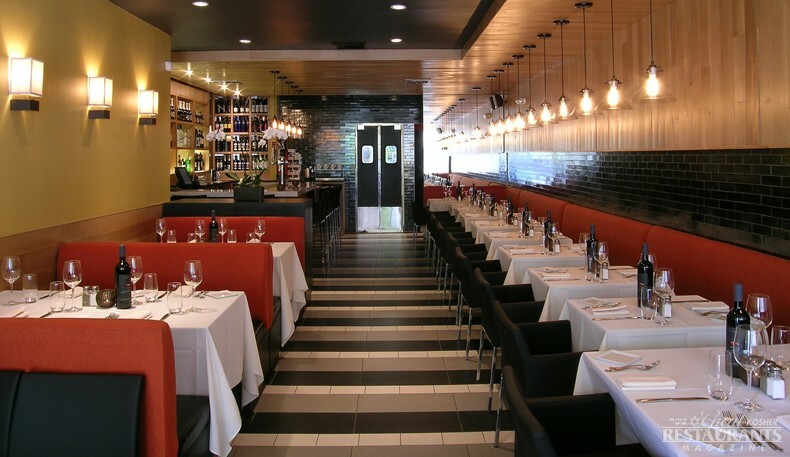 Shiny black subway tiles on the walls and suspended lighting complete the mood for this sleek restaurant featuring a classic menu of fresh grilled fish, traditional pastas, and brick oven pizza. Siena's fully lit, sparkling bar, one of a few kosher bars in Brooklyn, features a selection of the finest imported wines, fine single malt scotch and an assortment of beer and signature premium cocktails. Siena's lunch and dinner menus are designed to give you an exciting dining experience. They are created by award winning executive chef Mark Strausman, who trained at the top five-star hotels in Europe and was head executive chef at several restaurants, including New York Times acclaimed Campagna, Coco Pazzo, and Fred's at Barneys. His rustic Italian fare features such starters as the Insalata Caprese made of homemade mozzarella, sliced cherry and beefsteak tomatoes, olive oil and basil. For seafood lovers, the Dover Sole and Whole Branzino are highly recommended. Fresh seasonal pastas, such as Rigatoni Pomodoro and Spaghetti Puttanesca, are a pasta lover’s dream. And of course, a meal at Siena’s cannot be complete without marvelous desserts, which are home baked on premises using the finest kosher ingredients. Top that off with their selection of teas or freshly ground coffees and espresso. You’ll be glad you made the trip. Planning a special event? Siena offers both in-house or off-premises catering under the strictest kosher supervision to accommodate up to 75 guests.